[PRI] Which version of Indian history do American school students learn? Americans don’t agree about their history. Indians don’t agree about theirs either. For years, this has fascinated Sonia Paul, a California-based radio reporter. She has reported on divisions among Indians over their history and culture, both in India and in the United States. Her own family heritage is mainly Indian but also Filipino, and through her family she has been exposed to Catholicism, Hinduism and Sikhism. So when Indian Americans started debating school history textbook updates in 2016, she contacted me and proposed we do an episode of The World in Words. In the podcast, you’ll hear from Sonia’s father, a Hindu who worships in a Sikh temple, as well as from prominent Indian Americans like Suhag Shukla, executive director of the Hindu American Foundation which tries to convey a sense of Hinduism that’s a bit more nuanced than “caste, cows and curry.” Many HIndus in Callifornia resent that their religion is associated with poverty and caste discrimination. Sonia also speaks with Benjamin Kaila of the lowest Dalit caste whose education and employment were restricted back in India. He now lives in California and argues that school textbooks must continue to include discussions of caste. 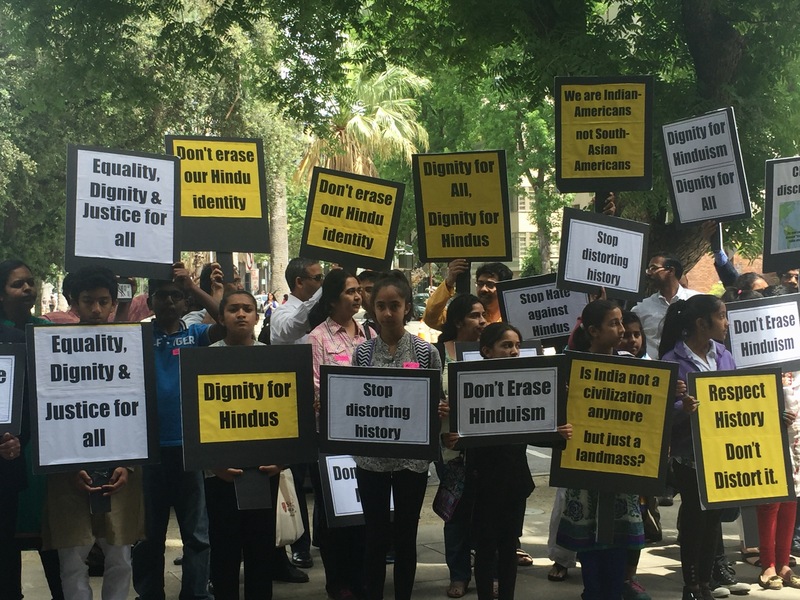 Supporting that view is Stanford anthropologist Thomas Blom Hansen, who tells Sonia the caste system is “justified in the Hindu scriptures,” and should continue to be taught in California’s schools. Check out more resources on this issue from Sonia here. 2:30 “South Asia” or “Ancient India”? 2:40 “Dalits” or “Untouchables” or avoid all mention or caste? 3:35 A hearing in Sacramento. 12:35 Are people from privileged backgrounds “caste-blind”? 14:15 Why Sonia’s Hindu father attends a Sikh temple. 18:40 What’s in a name? The surname”Paul” can be deceptive. 21:30 A school beating. Benjamin’s father dares not intervene. 28:33 A note about accent discrimination. 29:40 For more on the Trump-Modi connection, check out this episode of the Otherhood podcast. This story originally aired on The World in Words, and published on Public Radio International, on April 27, 2017. Next post:[PRI] Podcast excerpt: Which version of Indian history do American school students learn?